These are the BEST Buttermilk Pancakes. You are going to want to make this recipe again and again. 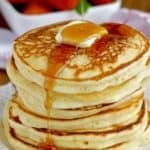 This is such a fluffy buttermilk pancake recipe and with the perfect flavor. 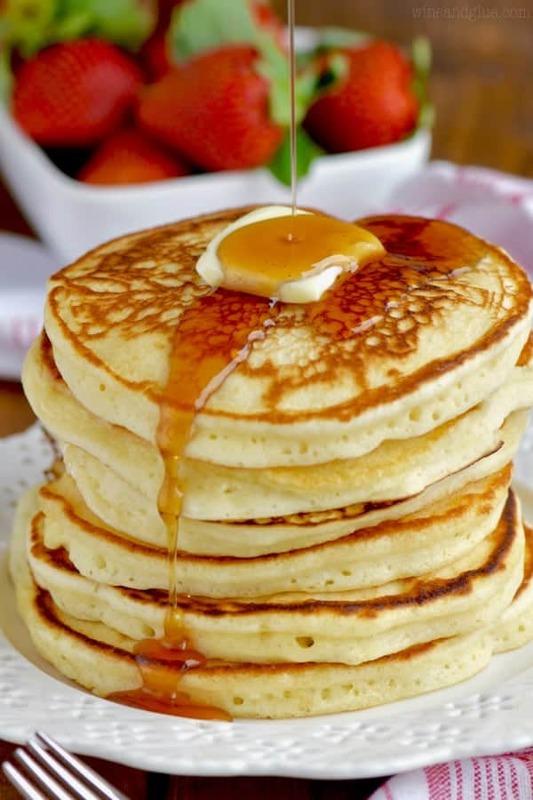 If you’ve never made homemade buttermilk pancakes from scratch start with this recipe! 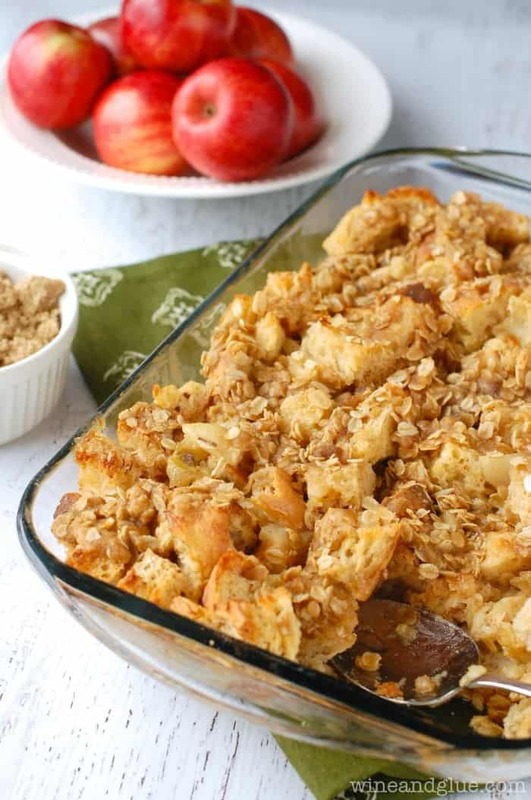 If you are looking for other great recipes to make for Sunday brunch, make sure you check out this overnight berry cobbler french toast, this crustless vegetable quiche, and these apple carrot zucchini muffins. 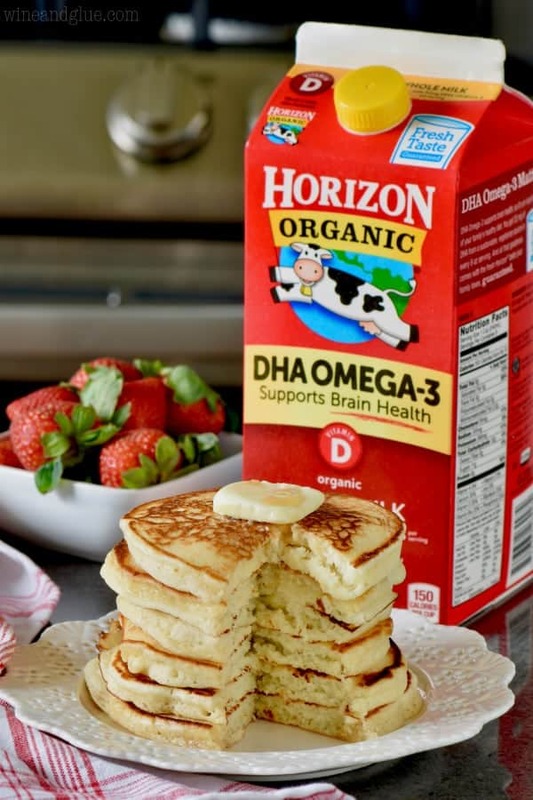 I’m so excited to be partnering with Horizon Organic to bring you this amazing breakfast recipe! My family loves Horizon Organic products and we drink their milk regularly! Thank you for supporting the brands that make Wine & Glue possible. Nathan and I were talking about Christmas traditions the other day and thinking back to how much my mom loved Christmas. We really miss her this time of year. She kind of went all out at Christmas time. I mean, yes, the gifts. She went overboard. And she treated Nathan like he was one of her kids, and you could tell she just put so much thought into what we would want. But also everything else! She wasn’t Martha Stewart, but she made the best Christmas meals, and just made her house feel so welcoming. It’s hard not to think about how much she and our kids both would have loved spending Christmas together. But right after we finished saying that, we started talking about how great it is that *this* is our family. Nathan, me, Gavin, Quinn, Piper. This is the family we are building our holiday traditions around. So instead of getting stuck in missing my mom every year, we are working really hard to build traditions for this family. One of our favorite holiday traditions is making a BIG breakfast on Christmas morning that we get to eat in our p.j.’s after opening presents. Since our kids are the hangriest people this side of the Mississippi, I make these eggnog muffins the night before and they munch on them while I sip coffee and we open presents. I always want to go ALL OUT and make a wild adventurous breakfast, but then I remember that I’m cooking for people who’s favorite food is mac and cheese – albeit, Horizon mac n cheese, which is delicious . . . but it’s still mac n cheese. So this year, I’m going to be making them some of the best buttermilk pancakes. These pancakes took several tries to perfect, but you guys, they are totally amazing. You are going to commit this recipe to memory because they are that good. Now, we all know that buttermilk pancakes start with buttermilk, but you guys, I legit never have buttermilk on hand. I, however, do have Horizon whole milk on hand. And buttermilk is perfectly easy to make at home with some whole milk. It’s really simple to make buttermilk. Especially for this recipe, because I’m going to tell you exactly how to make the amount you need for 12 fluffy light pancakes. Measure 1 cup of Horizon whole milk. Remove 1 TBSP of milk. 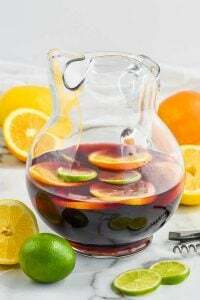 Stir in 1 TBSP of vinegar or lemon juice. Done and done guys! Now you can make homemade buttermilk pancakes all the time. And you won’t even have 3/4 of a container of buttermilk left in your fridge after! 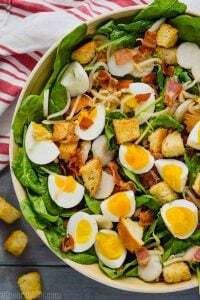 There are a few tips and tricks to making this recipe work, but they are well worth it! They will leave you with the best most fluffy pancakes! When you measure your flour, make sure to scoop the flour into the measuring cup with a spoon and the level off with something flat like the handle of a spatula. 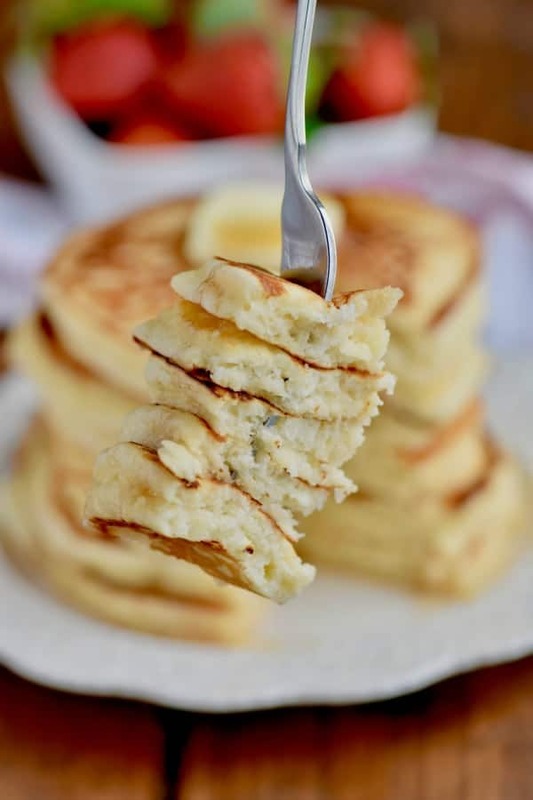 If you scoop directly from the container with the measuring cup, you are likely to get more flour than you need and end up with pancakes that aren’t as fluffy. This recipe calls for cake flour. 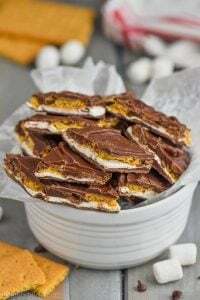 Yes, it means a specialty item from the grocery store (usually found in a box near the all purpose flour), but it is worth keeping a box on hand. If you don’t feel like buying cake flour, there are instructions in the recipe notes for how to make your own, but please be sure to sift it a lot so that the corn starch is well distributed. Make sure you cook these pancakes over low heat. It makes for those nice golden rings you see. I like to cook mine one at a time. They spread to a nice 5 inches, and you don’t want them to be too cramped. It also helps them to cook properly if the batter is poured directly over burner into the skillet. 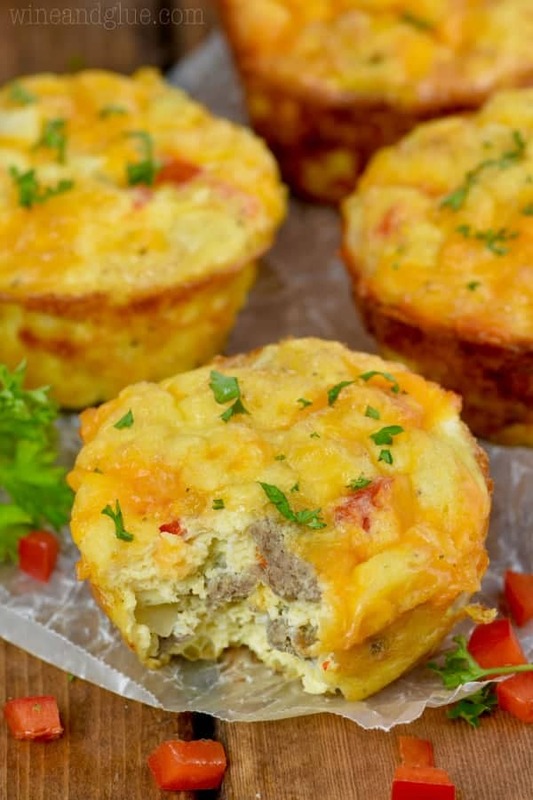 If you are looking for what to serve with these pancakes, these crockpot breakfast potatoes would be perfect. This mushroom and feta breakfast casserole has me drooling! And I know my kiddos would love these perfect baked chocolate donuts! If you are looking for more great recipes to start holiday traditions with, be sure to follow Horizon Organic on Facebook, Pinterest, Instagram, and Twitter. And be sure to check out this video. It’s seriously cute. These are the BEST Butter Milk Pancakes. You are going to want to make this recipe again and again. 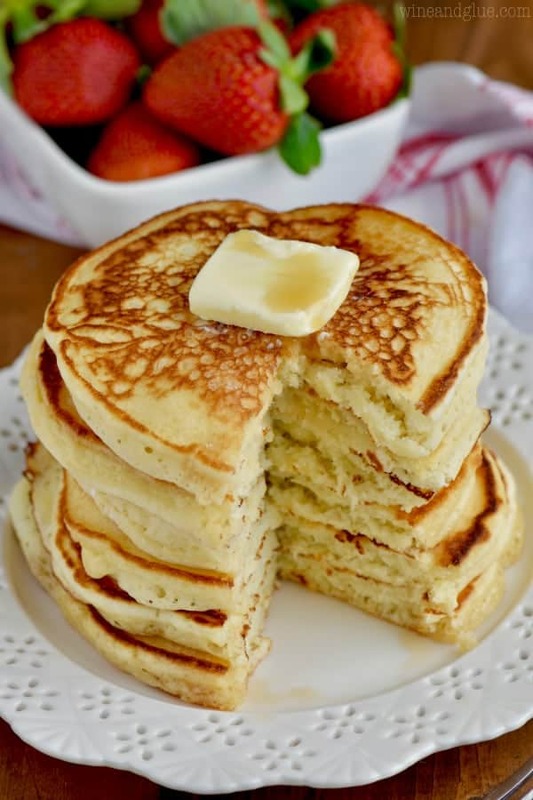 This is such a fluffy buttermilk pancake recipe and with the perfect flavor. Pour 1 cup of Horizon whole milk. 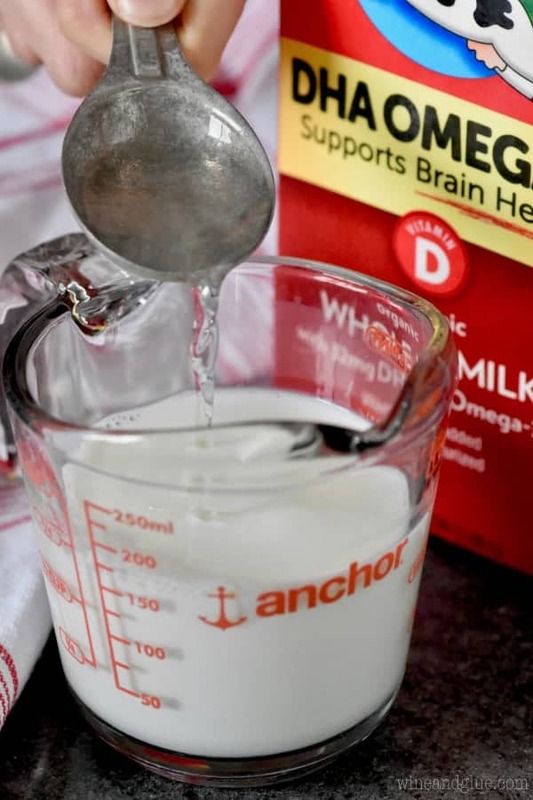 Remove a tablespoon of milk. Stir in 1 tablespoon of vinegar. Let sit for 5 minutes. Add the oil, eggs, and homemade buttermilk. Stir together until just combined. The batter will be lumpy, do not overmix. Spray the skillet with cooking spray and pour 1/4 cup of batter on the skillet and spread it out with the bottom of the measuring cup. As soon as bubbles begin to develop on top, flip the pancake. Be careful, the pancakes will be think and cook quickly. Allow it to cook another 30 seconds or so on the other side and remove to a plate. Wipe down the skillet, spray with cooking spray and cook the next pancake. 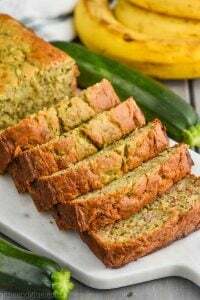 Cake flour works best in this recipe, but if you don't want to buy a whole box, simply measure out 1 cup of all purpose flour, remove 2 tablespoons. Replace with 2 tablespoons of corn starch and sift multiple times to distribute the corn starch throughout. Measure out 3/4 of a cup using the instructions below. To measure both flours, scoop them into the measuring cup, and then level off. Doing it this prevents the flour from being packed and using too much. Your pancakes look fabulous! 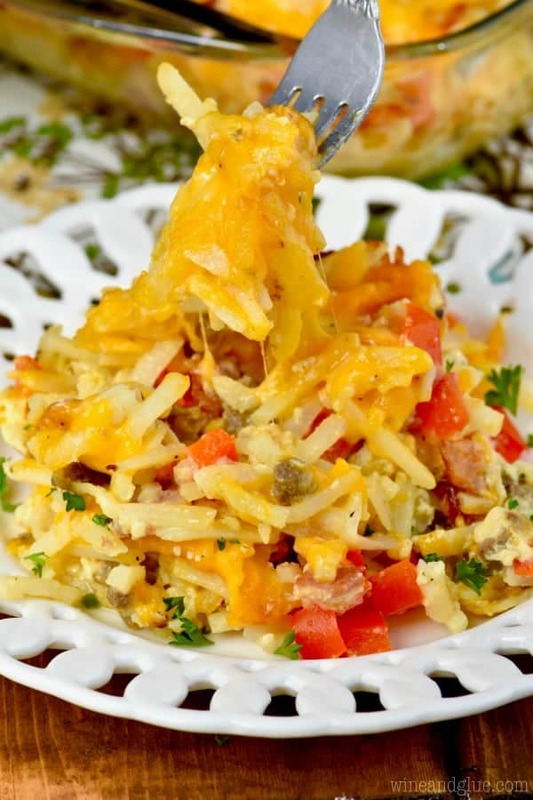 Thanks for the shout-out for my breakfast casserole! The pancakes look perfect! I could use a big stack right now. It’s chilly here and they look delish!